Polyneuritis is an inflammatory disease that affects the nerve end of the peripheral nervous system. The causes are multiple (diabetes, alcoholism, drugs …) and its evolution is generally slow. About 5% of the population is affected and its frequency increases with age. 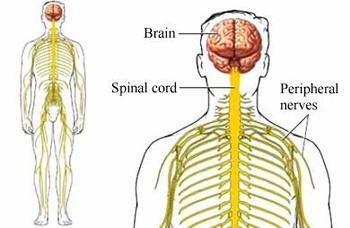 Polyneuritis is an inflammatory disease that affects the peripheral nervous system, resulting in peripheral nerve damage. The peripheral nervous system is a complex network of nerves that connects the brain and spinal cord to internal organs, muscles and skin. It is divided into two parts, namely the somatic nervous system and the autonomic nervous system. The somatic nervous system is responsible for the transmission of sensory and motor information to the central nervous system. The autonomic nervous system is responsible for controlling the involuntary functions of the body. Both parts of the peripheral nervous system are vital to the normal function of the body. An injury to any part of the peripheral nervous system can have a detrimental effect on the normal functioning of the body. Mechanisms that cause polyneuritis include myelin sheath involvement, degeneration of neuron extensions (axonopathy), or whole neuropathy (neuropathy). Autoimmune diseases such as Guillain-Barre syndrome are among those implicated in the incidence of polyneuritis. It is a rare disorder in which the immune system attacks the peripheral nerve, causing damage to the myelin sheaths that surround the nerves. Other autoimmune diseases that may be the cause are lupus, rheumatoid arthritis, Sjogren’s syndrome and chronic inflammatory demyelinating polyneuropathy. Metabolic and endocrine disorders such as diabetes, uremia, acromegaly, and gout and thyroid dysfunction are also involved in the onset of polyneuritis. Exposures to chemicals are also considered a cause of polyneuritis. These products include toxic substances, carbon monoxide, carbon disulfide, carbon tetrachloride, arsenic, lead, mercury and thallium. Infectious diseases such as leprosy and herpes. Acute or chronic infections such as measles, chickenpox, scarlet fever, mumps and influenza are also considered to be a cause of polyneuritis, as well as toxins produced by Clostridium tetani bacteria that attack the peripheral nerves. Nutrition disorders such as vitamin B deficiency, beriberi, pellagra, alcoholism and chronic gastrointestinal diseases are among the nutrition disorders involved in polyneuritis. Drugs can also cause polyneuritis because of their side effects. Medicines for the treatment of cancer are among the drugs that can cause polyneuritis, as well as sulfonamides, phenytoin, isoniazid and emetine. Nerve injuries such as sports injuries, falls, and vehicle accidents can cause nerve damage that can lead to polyneuritis. Children may also have polyneuritis. A neurological examination is necessary to evaluate the motor strength of the limbs, the sensitivity of the affected body parts and the reflexes. It can also detect disorders of the neurovegetative system. A biopsy (small skin sample taken) and an electrocardiogram can be performed to assess the rate at which the nerve message is transmitted from the nerve to the muscle (conduction velocity) and the response time to the stimulations. The signs and symptoms of polyneuritis depend on the nerve that is affected. The initial onset of symptoms is usually related to the nerve that reaches the toes. Indeed, the disease usually damages the longest nerve fibers. The sensory nerve is responsible for receiving different sensations such as hot and cold. When this nerve is affected or damaged, it can lead to symptoms of paresthesia, burning pain, numbness and loss of sense of position and vibration sensations. The loss of sensitivity can affect a person with a risk of burns due to an alteration of the threshold of detections of the detection temperature. Numbness and tingling in the feet or hand gradually appear and can extend to the legs and arms. Touch sensitivity is extreme even with the slightest touch. Muscle loss is also present in polyneuritis and is characterized by thin and weak muscles, resulting in reduced movement and loss of muscle strength. It is possible to prevent certain risk factors such as alcohol abuse, an unbalanced diet and excessive manipulation of toxic products. Initial treatment of polyneuritis involves a neurological evaluation to determine the nerves involved in the onset of the disorder. The method of treatment depends on the cause of the disease. Transcutaneous electrical nerve stimulation is also used to relieve symptoms by applying mild electrical current. Ethyl withdrawal is recommended for alcohol abuse, as well as a vitamin B vitamin cure in case of deficiency. A support device such as walking aid or muscle strengthening of the arms may be necessary for patients with severe weakness of the legs or arms and to help them to move. A splint can also be given to increase the flexibility of the wrists. The symptoms decrease when the appropriate treatment is applied.